Jeremiah 17:14 – Heal me, O LORD, and I shall be healed; save me, and Ishall be saved: for thou [art] my praise. Psalms 127:3 – Lo, children [are] an heritage of the LORD: [and] the fruit of the womb [is his] reward. Matthew 10:8 – Heal the sick, cleanse the lepers, raise the dead, cast out devils: freely ye have received, freely give. Deuteronomy 7:15 – And the LORD will take away from thee all sickness, and will put none of the evil diseases of Egypt, which thou knowest, upon thee; but will lay them upon all [them] that hate thee. We can buy medicine, seek medical experts … but only GOD can truly heal us! The word “church” can refer to the church universal Matt. 16:18; Eph. 5:23), the whole body of baptized believers, or to a local body of Christians (Rom. 16:16; 1 Cor. 1:2). When you were baptized into Christ (Rom. 6:3-4), He added you to His church (Acts 2:41, 47). This refers to the church universal, the body of all the saved who belong to Christ (Eph. 2:16; 4:4; 1:22-23). On the other hand, such expressions in Scripture as “the church of God which is at Corinth” (1 Cor. 1:2) refer to a local church, a congregation of those who belong to the Lord in a particular locality who have banded together to work and worship collectively in those things God would have them to do. The Christian, while added to the universal church by the Lord, joins himself to the local church like the apostle Paul did with the church in Jerusalem in Acts 9:26. Every Christian needs to be identified with a local church. When a child of God moves from one locality to another, he should seek out a faithful group of the Lord’s people and identify with them in order to fulfill his share of the collective responsibilities the Lord has given him. For, you see, the local church is the only collective functioning unit revealed in the New Testament. The church universal has no organization with which it can function. Nor are there any structural ties between local churches. Each local congregation is an independent, autonomous, i.e., self-governing, group. God has designated that when there are qualified men to serve, each local church should be organized with elders, deacons and members (Phil. 1:1). The qualifications for elders are found in 1 Timothy 3:1-7 and Titus 1:6-9. The deacons’ qualifications are found in 1 Timothy 3:8-13. Elders are to tend the church (1 Pet. 5:2) and rule over it (Heb. 13:17) by exercising oversight (1 Pet. 5:2), to watch out for the souls placed in their charge (Heb. 13:17), to admonish the unruly (1 Pet. 5:1-2) and be an example to all (1 Pet. 5:2). Deacons are special servants who attend to those things the church needs and the elders direct them to accomplish. If there are no qualified men in a congregation who can serve in these offices, a local church may exist and function by using such an expedient as a business meeting — a meeting of the men of the congregation which determines the course of action the church will follow in accomplishing the work of the Lord. 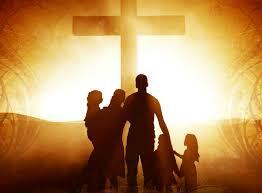 As a member of the church the Christian is a part of the family of God (1 Tim. 3:15). Being a family member carries responsibilities. As a part of the universal Church one has responsibilities to all Christians worldwide. Being a member of a local church, though, he sustains peculiar responsibilities to those who are his fellow-members in that local body. It is like being a part of the physical family. When one is born he becomes a part of a large family with aunts, uncles, cousins, etc., to whom he has responsibilities. But he also is part of a nuclear family of mother, father, sisters and brothers to whom he has special moral and spiritual obligations over and above those he has to the rest of his relatives. God gave each member of the family a role to play. Each one playing his or her part will make a difference in the family, as can be seen in Paul’s instructions to the saints in Ephesus. Christian wives are to place themselves under the control of the husbands as one means of showing that they are yielding to the Lord (5:22). God made man the head of the family, foreshadowing the relationship of Christ to the church. Jesus demonstrated His love the church by giving His life for her. Husbands should be ready to sacrifice their lives for their wives (5:23-23). The self-sacrificing nature of the Savior is a perfect example for each husband to follow. Wives whose husbands are willing to die for them have little trouble with submission. Children are instructed to keep on obeying their parents (6:1-3). The only limitation to this is the expression “in the Lord,” which means a child may refuse to obey his or her parents if they ask them to do something wrong in the sight of God. The fifth of the Ten Commandments reads, “Honor your father and your mother, that your days may be long upon the land which the Lord your God is giving you” (Exodus 20:5). Paul described it as the “first commandment with a promise” because obeying and honoring one’s parents is well-suited to developing a character that will cause one to live a long life on earth. Obedience requires one to grow in self-control, self-discipline, recognition of authority and a teachable spirit, all of which are necessary ingredients for a good life. Fathers can facilitate the obedience of their children by provoking them to wrath (6:4). Discipline is an important part of the parent and child relationship, but harsh discipline can cause a child to strike back. Inconsistency in discipline can lead to outbursts of anger. Fathers do not need to laugh about things a little child does and then spank for the same actions when the child is a little older. You can make a difference in our family! Godly parents can make a positive difference in their families.